"Welcome t Season Three of RPGCrate where we embark on an exploration of ancient legends and tales worth of the bards. Brave the arctic regions! Face creatures adapted to survival in the frigid wastes, and confront long forgotten mysteries buried beneath the ice. Do you have it within you to become a hero worthy of legend?" 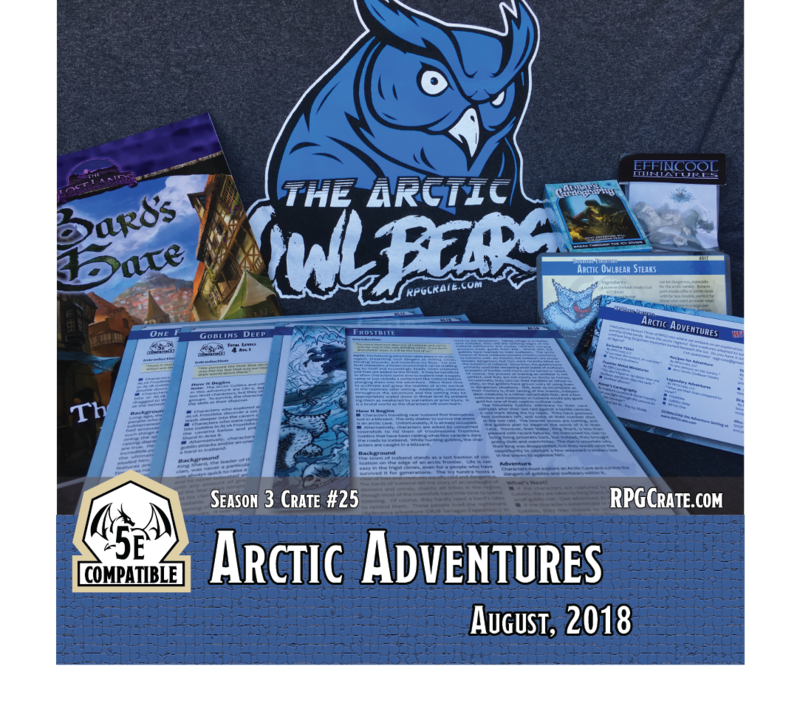 Atmar's Cardography is a 52 card set of arctic tundra and they can be arranged in any format you wish, or you can play through each one, adding a room as you go and use the downloadable .PDF module available on their website. Instructions are included in the deck of cards.